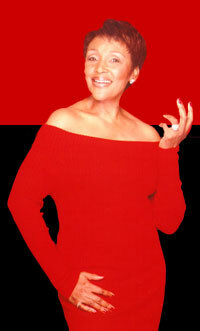 Felicia has received numerous awards and recognition in business, media and community service. Voted one of the top three most admired role models with Nelson Mandela in a CASE Youth Survey in 2000. Started the first audience talk show in South Africa, which ran for 12 years. Founding member and shareholder in the billion dollar company Pamodzi Investment Holdings. Listed among the "100 Great South Africans" in a survey by the South African Broadcasting Corporation SABC. Named among the top ten most popular personality brand names in a survey on Brands by The Sunday Times newspaper. Awarded the prestigious Progress (Impumelelo) Award for Top 300 Empowerment Award. Named Leading Woman Entrepreneurs of the World by the Star Group in the United States. Finalist for Business Woman of the Year in South Africa. 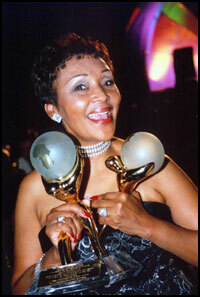 During her tenure as President of South African tourism, she was instrumental in getting South Africa featured on all national networks -- NBC,CBS, ABC and FOX. She assisted NBC's popular Today Show, "Where in the World is Matt Lauer," to broadcast from Cape Town, South Africa. Won the Bronze Award from the Hospitality Sales and Marketing International Adriaan Award for the Travel Planner Magazine for South Africa. She joined Dave Price from the All Access CBS show to showcase South Africa and broadcast from there. Generated excitement in Mardi Gras in New Orleans, including South African Zulu dance troupe that were featured on all the networks and major newspapers. Selected Who's Who in Black Atlanta 2008 & 2009. Currently active in the prestigious International Women's Forum.